The Dr.Storage F1 400 Ultra Low Humidity Dry Cabinet maintains an internal environment of <1%RH. 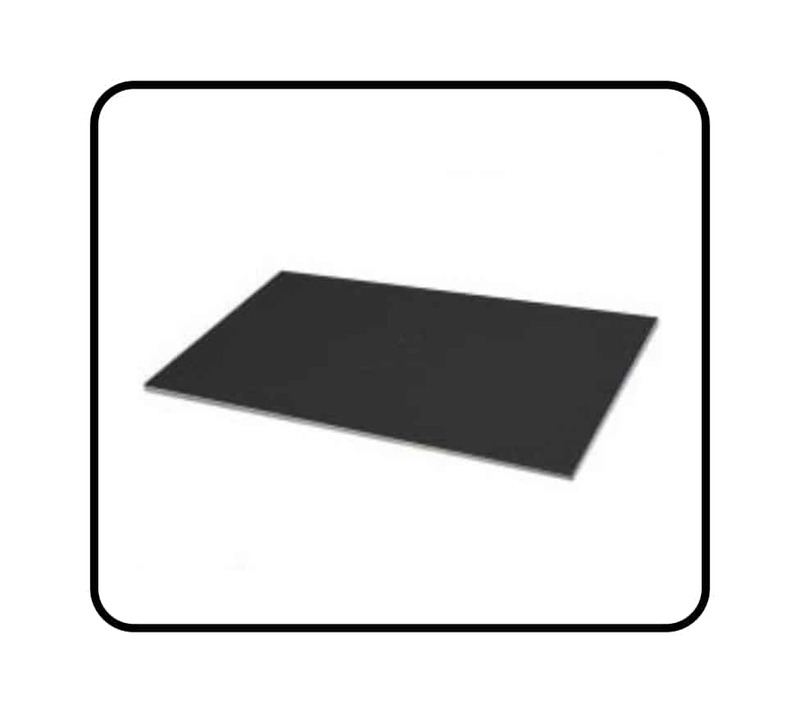 It is specially designed to store and protect moisture sensitive devices (MSD) from humidity related damage and exceeds current the IPC/Jedec J-STD-033 standards. 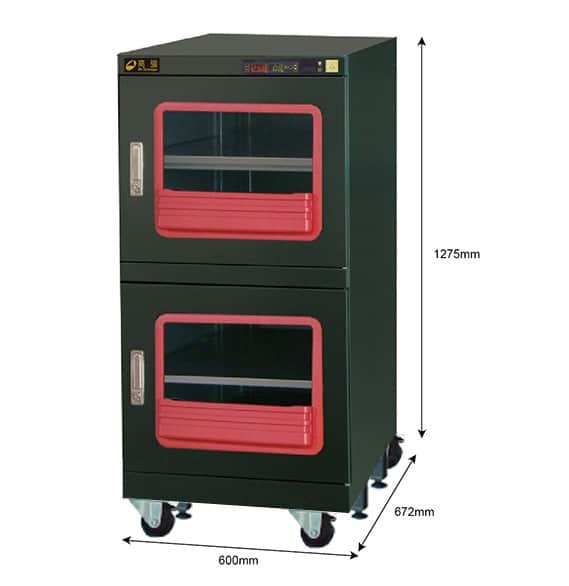 The F1 400 eliminates the oxidation of stored parts and is particularly useful for storing SMT components, component reels, high tech manufacturing devices, precision metal parts, miniature devices, pharmaceutical substance, biotic specimens, battery, crystal, IC package module, optical lens or scientific instruments. 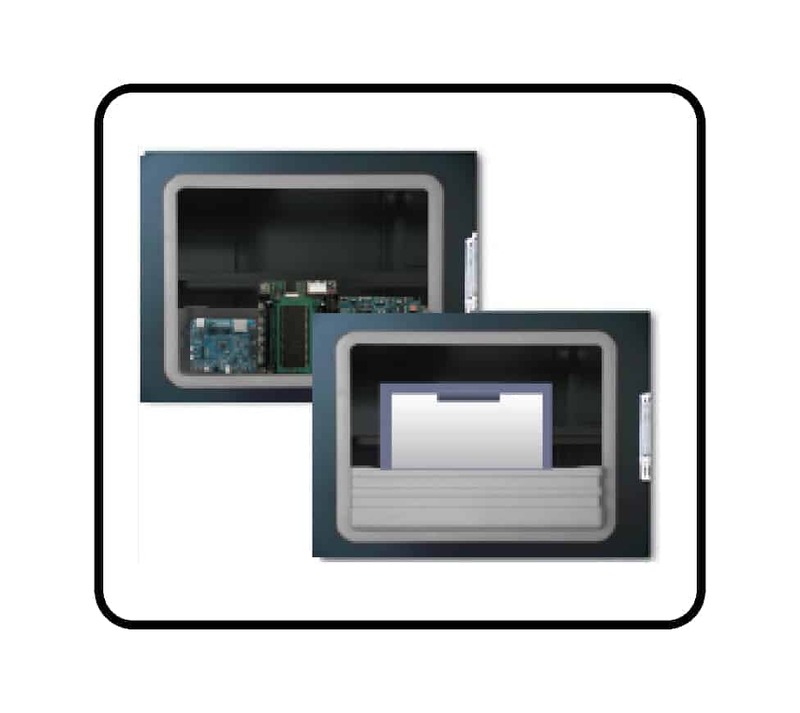 All F1 Dry Cabinets are supplied with an anti-static package, adjustable shelves, wheels (except the F1-200 bench top), locking doors, storage bins, decimal digital display, countdown calibration reminder, and sensors with 2% accuracy. Each model features Humidity Manager Software so that humidity and temperatures conditions inside the cabinets can be monitored and saved to the software. Coloured graphs are drawn and the data can be used for validating processes and showing compliance to standards. Upgrade your F1 Series Dry Cabinet with a Dual Sensor Data Logger to record temperature and relative humidity data of the cabinet interior but also the ambient environment.